J.W. Anson Denton-Gibb – T & B™ Founder • Born in Lusitania on the 6th day of Pédale (vers Belges) in the year 701 B.P.E. (Before the ‘Pataphysical Era) – J.W. 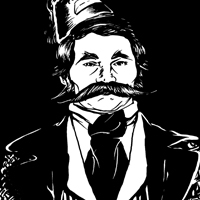 Anson Denton-Gibb founded Tempest & Brolly™ brand Luxury Contraband. That was some 800 years ago and since then it’s been nothing but back breaking labor and insufferable tyranny at the hands of Kings and Queens and privateers alike. Currently he is on sabbatical in the Amazon, where he pens the occasional dispatch or wires the occasional imperative to his T & B™ henchmen. 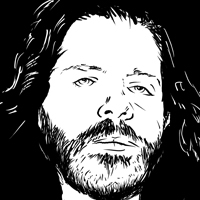 Barfly – T & B™ Creative Director • Whenever he hasn’t been busied with averting wealth or ripping up pictures of Macklemore he’s somehow managed to make time for recording some of the most awful music ever praised by Rolling Stone and Pitchfork. No one with money has ever heard any of it. No one who has heard any of it has ever understood or liked it. He also writes and does illustration and design. We are proud to call him our Creative Director. 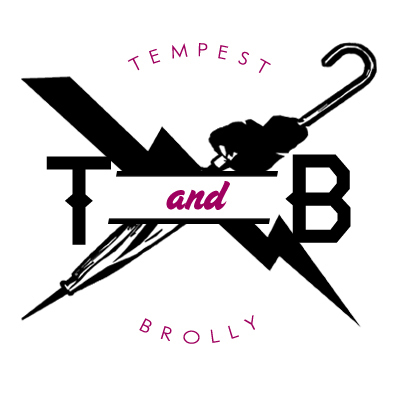 Tempest & Brolly: We’ll make the logo bigger.